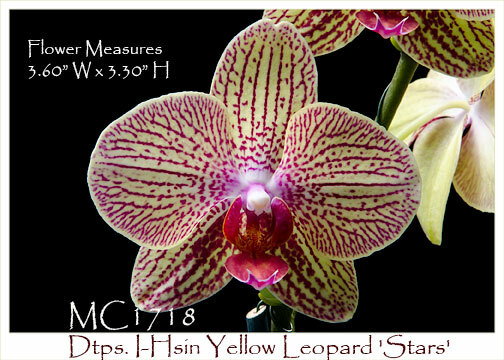 Classic soft yellow flowers are enhanced by rich rose candy striping and spotting ! 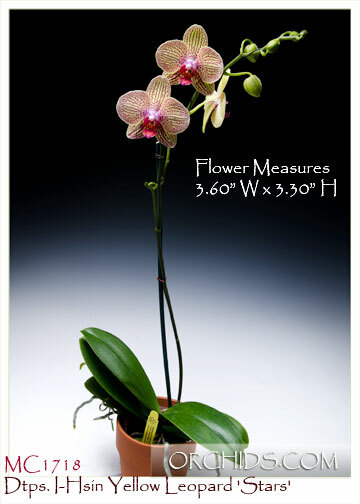 Produced on elegantly tall spikes, its flowers show the strong influence of their famous parent, Dtps. Leopard Prince, in their spotted and striped accents. Perfectly finished with a rich rose lip, its display gives the overall impression of a glorious sunset !